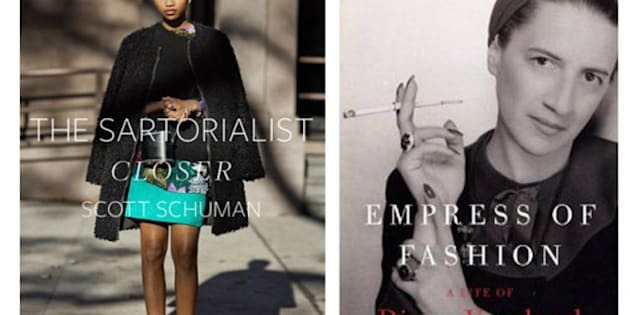 If one of your new year's resolutions is to learn a little more about fashion, we've got an easy solution for you: read! Throughout 2012, some of the world's top editors and photographers pulled together memoirs and compiled masterpieces full of juicy tips and tricks that will help you improve your sartorial style. What are the top books you should reach for first? Here are 15 of our favourites. Easily our favourite fashion editor of all time, this biography documents Vreeland's meteoric rise from sad childhood to fearless fashion lady. This is the ultimate book for anyone looking for street style inspiration. It's a must-have for any burgeoning fashionista. We dream of living in Paris and of emulating the perfect style of the ladies who grace the city's streets. This book has helped us bring a little French style to North America's shores. This handy book was written by one of our favourite magazine editors. It breaks down her style evolution over the decades and gives good tips on how strangers (and even friends and family) can help you shape your style. Looking for a style role model? This fashionable books lists over 80 of the most stunning and sartorially smart ladies who have ever existed. She loves cats, stole the show in 'The September Issue' and is one of the most fascinating fashionistas out there. What's not to love about Grace Coddington? The perfect book for the young woman looking to define and figure out her style, from one of the most famous and successful bloggers out there: Tavi Gevinson. The book of all supermodel books, this one documents the rise of Kate Moss to become, arguably, fashions most famous face. W is easily one of the best photographed magazines out there, and this book is full of some of the most iconic images that have ever graced the monthly's pages. Think the "little black dress" is the only staple you need in your wardrobe? Karl Lagerfeld and Carine Roitfeld aruge a jacket is more important. Guys need a little fashion advice too. 'The September Issue' may have given us slight insight into Anna Wintour's world, but this book takes readers behind the legendary work of eight of Vogue's top editors. It's a phenomenal read with fascinating interviews. Take a look inside the world of Kate Middleton's favourite designer, Alexander McQueen. Bring some of Mario Testino's most stunning images home with you in this delectable table book.